In the latest episode of Plastic Memories anime series, our protagonists can be seen running around in various locations that seem all too familiar to those living in the island city. Here are the locations that we believe are the inspiration for these. First up, we have this background. It copies the iconic arched design that is used by the Hong Lim Complex, and even includes the sheltered area on the rooftop of the building. Next up, the background of the Chinatown Train Station here in Singapore. It fully replicates the design of the structure, from the glass panels used to let in sunlight, to the shelter above the staircase. 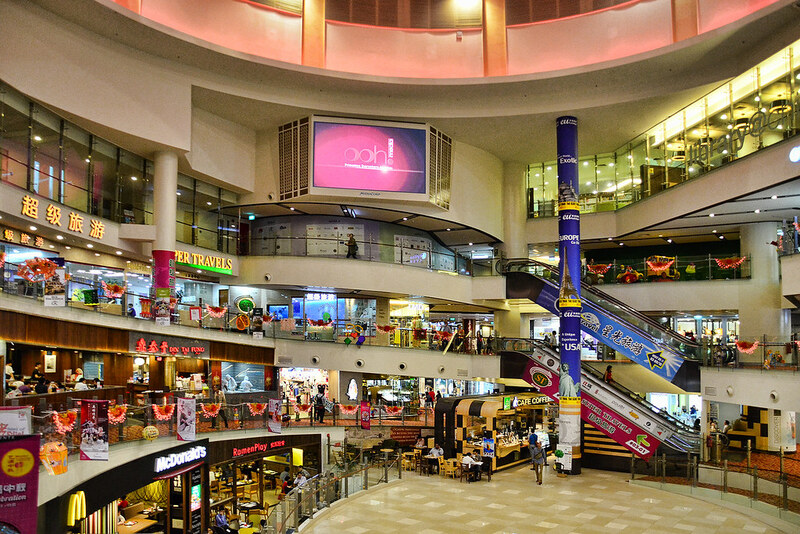 This shot of the shopping mall references the interior of Chinatown Point, a shopping mall that is relatively well known to Singaporeans as it is the only one here with an ascending spiral design. This one replicates the vertical design of the Liat Towers, a common destination for those looking to buy branded goods from a certain Spanish-based retailer. This shot references Holland Road Shopping Centre, which is located right outside a (almost) fully glassed exit from the Holland Village Train Station. Lastly we leave you with this, a replica of a sheltered walkway that is located in a series of high rise buildings known as Hong Lim Apartments. With this many references in one episode, it almost makes you think that the setting of Plastic Memories takes place in Singapore, no? Its great to see some places you are familiar with to be used as referrence. How u know I got watch Wood 5 Memories?